In the 1850 census of the North Side of the Neuse River, Wayne County, North Carolina [in an area which became part of Black Creek township, Wilson County, in 1855]: farmer Arthur Bass, 34; wife Martha, 19; and daughter Zilla, 8 months. Per the 1850 slave schedule of the same district, Arthur Bass enslaved a 25 year-old woman, a three year-old boy and a two year-old girl. In the 1860 census of Black Creek township, Wilson County: farmer Arthur Bass, 46; wife Pattie, 28; and children Zillah, 11, Louisa, 8, Perry, 6, and William, 2 months. He listed $4000 in real property and $7000 in personal property. His personal property, per the 1860 slave schedule of Wilson County, included five enslaved girls and women ranging from 8 months to 32 years old and two enslaved boys. aged 12 and five. Arthur Bass was just one of several white Basses who enslaved people in Wilson County. The 1870 census of Wilson County lists 134 African-Americans with the surname Bass living in households across eastern Wilson County in Black Creek, Stantonsburg, Gardners, Wilson, Joyners and Cross Roads townships. “[T]he William Barnes house was built in a style which was popular in Wilson County between 1848 and 1860. Barnes was the brother of General Joshua Barnes, one of the most influential men in the area and a founder of Wilson County. Barnes was born in 1811. Like his brother, he was a planter, and by the time of his death he had accumulated over 1,000 acres. …The exterior of the Barnes house has remained basically unaltered except for the constriction of a two-story portico with Doric columns which dates circa 1914. The William Barnes House is very similar stylistically to the house of his brother. General Joshua Barnes, which was built circa 1845. The exterior consists of a plain two-story box with a shallow hipped-roof and a three-bay facade. A wide trabeated entrance, surmounted by a smaller door on the second floor, is located in the central bay. The unusual six-panel door is similar to those found on the Daniel Whitley House (also in Stantonsburg Township). The interior plan is that of a wide center hall with two large rooms located on each side. Major alterations have been made on the interior. 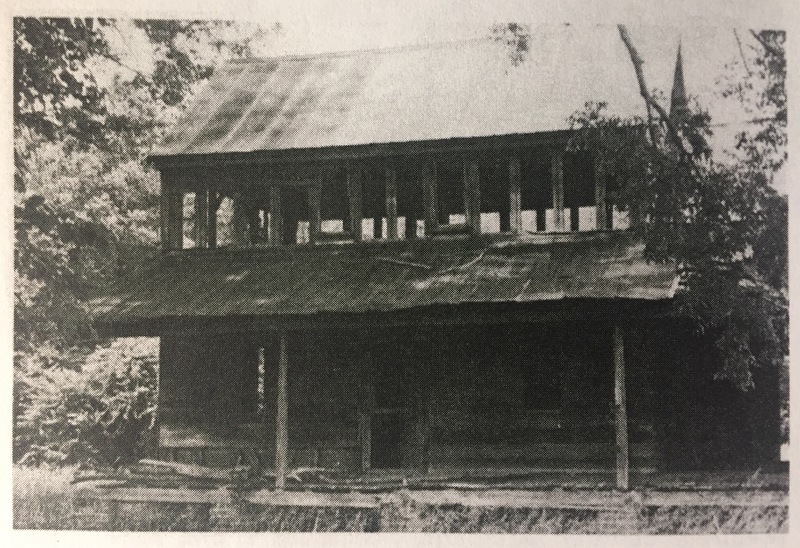 A large two-story packhorse and small gable-roof storage building, both contemporary with the house, exist on the grounds.” — Kate Ohno, Wilson County’s Architectural Heritage (1981). In the 1860 census of Saratoga township, Wilson County, 48 year-old farmer William Barnes’ listing notes that he owned real property valued at $35,000 and personal property at $89,000. The latter, of course, largely consisted of enslaved men and women, whose crucial role on his plantation went unmentioned in the description above. The 1860 census credits him as the owner of 10 men or boys and 16 women or girls, ranging in age from 1 to 60. Aerial shot of the Barnes House and outbuildings at the intersection of Fairfield Dairy Road and Highway 58. 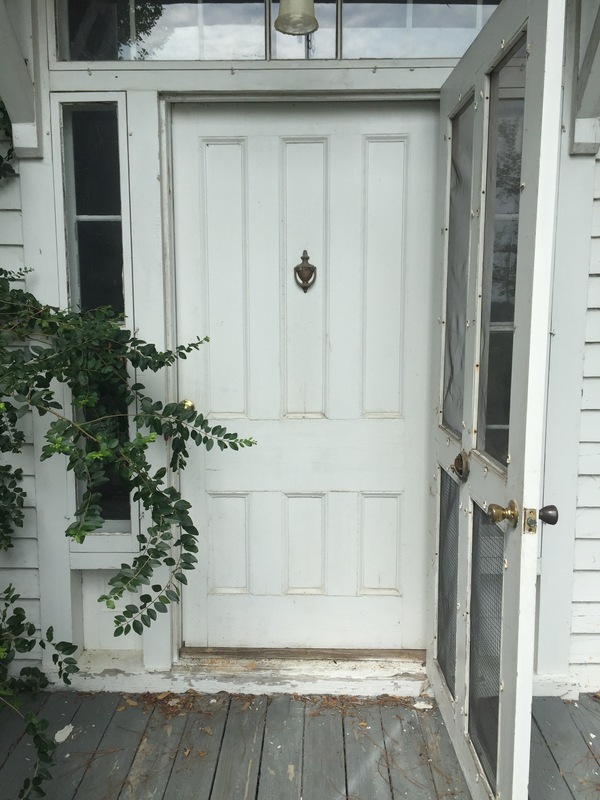 Photograph of Barnes house taken by Lisa Y. Henderson, December 2015; photo of door taken July 2017; aerial photo courtesy of Google Map. Gen. Joshua Barnes House is a historic home located near Wilson, Wilson County. Built about 1844, it is a two-story, central-hall-plan, Greek Revival-style frame dwelling built around the nucleus of an earlier, Federal style dwelling dating to 1830 and was remodeled about 1870. 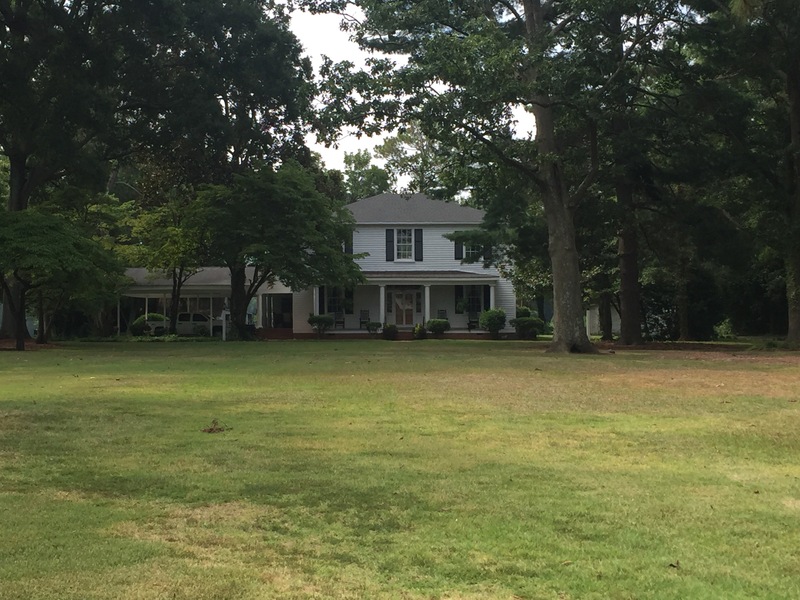 The house features a shallow hipped roof and one-story, full-width front porch. Attached to the rear of the house is a small one-story Greek Revival frame structure connected by an enclosed breezeway. Gen. Joshua Barnes, who built the house, is considered the father of Wilson County. Of Joshua Barnes’ success: “In 1860, on the eve of the Civil War and five years after his great success in the legislature, Barnes was one of the wealthiest men in Wilson County. According to the 1860 census he was a farmer owning $27,500 worth of real property and $79,000 worth of personal property.” As usual, nowhere in the glowing description of Barnes, his house and his accomplishments is any mention of the main source of Barnes’ wealth — his slaves. Wilson Daily Times, 13 June 1922. Joshua Barnes house, 1976. The house, recently sold, remains in excellent condition. Joseph John Pender House is a historic plantation home located near Wilson, Wilson County. The house consists of an original, two-story, three-bay, Federal frame section, built about 1840, and a one-story frame kitchen/dining room ell. It was listed on the National Register of Historic Places in 1986. Though the Nomination Form describes Pender as a “large landowner and successful planter,” it makes no mention of his status as a slaveowner. Census records, however, tell the story. The 1850 slave schedule of Edgecombe County lists J.J. Pender with 15 slaves (12 male and 3 female), ranging in age from one month to 60 years. By time the Wilson County enumerator arrived in 1860, he had increased his holdings by two-thirds to 25 — 15 men and ten women ranging in age from six months to 75 years and sheltered in four cabins. Slave schedules do not list the names of enslaved people, but one of the 25 may have been Carolina Pender, born circa 1853. She appears as a widow in the 1900 census of Black Creek township, Wilson County, with several children, including Thad (1884) and Cadmus Pender (1885). These children were apparently named for Thaddeus W. Pender (1838-1892) and Cadmus C. Pender (1841-1862), Joseph J. Pender’s oldest children. Joseph J. Pender house, circa 1986. Image from National Register of Historic Places — Nomination Form, above.